Toronto-based playwright Hannah Moscovitch is on as fast a trajectory to success as one can be in Canadian theatre. With Summerworks hits of years past (Essay, The Russian Play and Little One), together with the full-length run of East of Berlin, Moscovitch has been churning out quality work every season. Most recently, she piqued interest across the border with stagings in Chicago and a commission in New York. Her latest play, The Children's Republic, is a co-production between the Tarragon Theatre and the Harold Green Jewish Theatre Company. Moscovitch's subject is Dr. Janusz Korczak (Peter Hutt), children's author, pediatrician, and noted children's rights ambassador, who oversaw the safety of orphans in the Warsaw ghetto. Moscovitch highlights Korczak alongside the stories of four Polish youth. As is the case with her previous work, she constructs the characters with careful grace. Yet, short scenes and a lack of dialogue from the character positioned as Korczak's foil hold the play back. There are strong moments and compelling ideas, but ultimately the pieces don't quite coalesce. 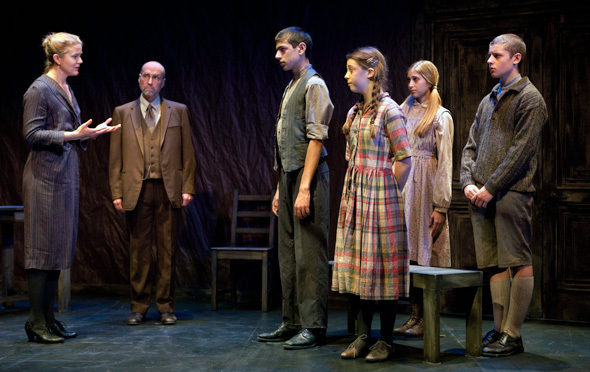 The themes of the play are posited in the relationship between Korczak and an orphan named Israel (Mark Correia). The house mother Stefa (Kelli Fox) believes Israel to be a violent street youth, but Korczak sees through the rough exterior and invites the boy to live among them. Having to learn to socialize with children less emotionally mature than he has been forced to become, Israel teaches Korczak about survival in the same way the older man extols compassion. The first act introduces us to the four orphans â Mettye (Katie Frances Cohen), Misha (Elliott Larson), Sara (Emma Burke-Kleinman) and Israel. In a number of short scenes, we witness the everyday struggles at a Warsaw orphanage in 1939. In a play that builds towards an overwhelming inevitability, pace is key. The short scenes seem to stunt the rising action (providing snapshots of character sketches) rather than deliver us to the haunting climax. The portrait of Israel also proves problematic for the central conflict. The character is played adeptly by Correia, and serves to inform our reading more of Korczak and his nature, rather than the young boy. But his one word answers and short shrugs, a product of the trauma of his young life, deflate scenes in which he's paired with another character. When he does speak, there's more understanding about his motives, but it happens seldom. The second act finds a stronger footing than the first, particularly in the moments where Misha reveals his courage, and when Sara and Mettye bid goodbye. The latter is, for me, the most heartbreaking exchange in the play. Alisa Palmer makes the most of all the transitions before a fitting set design from Camellia Koo. 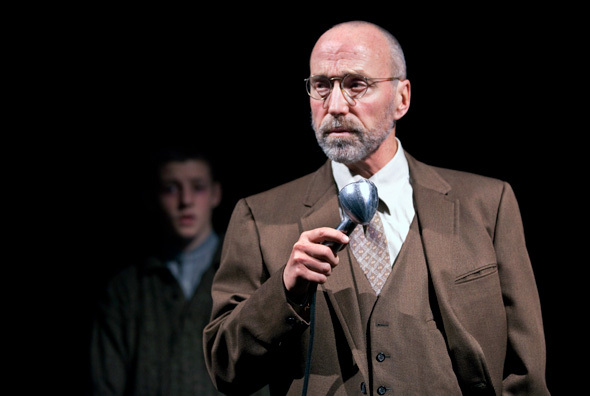 Hutt excels as Korczak and each and every of the young performers is memorable. Cohen, especially, as Mettye finds a hopeful confidence amidst dire conditions. There may be a stronger work present, but the premiere of The Children's Republic doesn't quite reach the note demanded from such a strong collection of Moscovitch's characters. The Children's Republic, written by Hannah Moscovitch and directed by Alisa Palmer, is presented at the Tarragon Theatre until December 18.